Your home for insight and expertise on health risk evaluations, complex care management, tech-enabled services, and providing care where it’s needed most. Personalizing care for vulnerable populations is about identifying and responding to the unique set of conditions and needs of members. For high-risk Medicare Advantage members, this often means a multitude of combinations of multiple chronic conditions, varying levels of spousal and caregiver support, mobility complications, and many more factors. That’s where personalized care comes in. Transportation, fall risks, and food security are very important for many vulnerable populations. Addressing individual care becomes the best way to support quality outcomes while fighting rising health care costs. We’ve built our services, our staff, and our technology around the idea of personalizing care for vulnerable populations. We focus on identifying risks, providing the highest quality, appropriate care, and enabling physicians and health plans to capture and act on accurate member data. The first step to improving care is identifying the need for care. Many primary care providers see up to 30 patients a day. Many of those patients receive enough time, but those facing multiple chronic conditions, the elderly, or high-risk patients require more time to truly understand what they are facing and the care they need. With the right tools and a specialized team dedicated to evaluations, more time spent with each member leads to education and counseling that can directly improve the quality of care. Giving members the option to receive care outside the four walls of a physician's office reduces barriers to care for immobile or homebound members. It helps to reduce stress during an evaluation as well since we all face “white coat syndrome” where we are nervous, scared, or embarrassed to admit a condition to a physician. Care in the home increases comfort levels to avoid this common syndrome. The expanded time allows a clinician to get to the root of conditions, identifying gaps in care missed previously, or new conditions that could only be identified in the member’s home. Clinicians in our network are able to spend up to an hour per member, and in that time they document an average of 1.4 case management referrals per encounter. Understanding and documenting conditions and environmental risks is the first step to personalizing care for a vulnerable population. Providing or augmenting their care from the home is another. Not every vulnerable member may need clinicians in the home, while others may no longer be able to make a trip to their physician’s office and lack caregiver support. Bringing care to the members themselves helps to increase their participation, and once again removes barriers to care. Being physically in the home creates more opportunities to take actionable interventions if there is an unsafe situation, or if critical issues such as chest pain occur at the time of the visit. The site of care is a big part of personalizing care and improving comfort levels. Living with, managing, and treating chronic conditions is difficult. Personalized care anywhere helps improve quality outcomes, while also making lives easier and more comfortable. When augmenting care through an evaluation or in-home procedures, we see increased re-engagement with their PCP, with 60-65% re-engaged within 90 days and 25% within 30 (Signify Health, data on file). Oftentimes, this is due to a member requiring more time and attention than their office-based PCP can provide. Transportation could also be an issue, or that their caregivers are stretched thin. Personalizing care comes down to creating a multi-disciplinary team to answer the multitude of potential member needs. From clinicians performing health risk evaluations, social workers focusing on food security, and physicians performing procedures and providing care. Our clinician network is the largest in the United States, covering every county, and brings a team together to answer the various care needs of vulnerable populations. Whether performing a health risk evaluation or augmenting and providing care, communication is key. The information documented must be accurate and coded properly for the PCP, health plan, and any other relevant stakeholders. Proper communication should be supported by technology. We use a proprietary platform to enable quick and accurate collection of data while also routing our clinicians to optimize their time with members and minimize their time on the road and processing paperwork. This data can flow freely to avoid fragmentation of care and to focus on improving outcomes. All of these personalized care models don’t mean anything if members won’t participate. Building engagement is an important step, as well as getting members to accept a clinician performing an in-home evaluation. A clinician running tests of monitoring medication dosages in the home is vital to providing personalized care for those who need it. Member engagement starts with outreach and ends with either a visit to their home or their care provider. We reach out to 4 million members annually and schedule about a million in-home evaluation visits in a year. Engagement includes outreach that members and their caregivers can trust, each with the ability to opt-in or out depending on their needs. Great experiences lead to great care. The care that follows also engages members. A health risk evaluation that feels impersonal and doesn’t allow for education and conversation may leave a member feeling ignored. It’s essential to provide face-to-face care that focuses on them and not the charts. Tools to make the collection of necessary information easier keeps clinicians focused on the moment and not the chart. We engage members by conducting health risk evaluations, focusing on their needs and giving them time to explain their conditions in a setting that makes them comfortable. The right technology can streamline the treatment of a vulnerable population. It’s the core of what we do; it enables our clinician network to maximize time with members and reduce time on the road. Without technology, we wouldn’t be able to bring care to so many members’ homes so fluidly. Technology prevents members from dealing with long “contractor” windows of time — they know exactly when their appointment is. Technology also enables agile and comprehensive data capture to create an accurate picture of care, while also spreading communication quickly to health plans and physicians. We believe it extends beyond our own clinician network, which is why we created Signify Office. Tested in the field by our clinicians, health plans can implement this application for physicians to accurately capture data both parties need while making it easier to stay face-to-face during an evaluation. Vulnerable members are often going to be unique. They face multiple chronic conditions in a multitude of combinations, and even the little things that don’t seem as significant for us can be vital to their health. Providing care isn’t about one solution, it’s about identifying what needs require treatment, gathering more comprehensive information, or knowing when to intervene. Communication and care collaboration is essential to improving health. Given our variety of options, we enable high quality care through an existing clinical team. We can offer care for a member that can no longer travel or who requires more time and attention than their PCP can afford to give. We believe in personalizing care anywhere for high-risk and vulnerable members. That’s why we’ve built our solutions to address the continuum of care - from health risk evaluations to complex care management. Schedule a consultation with our team if you’d like to learn more. 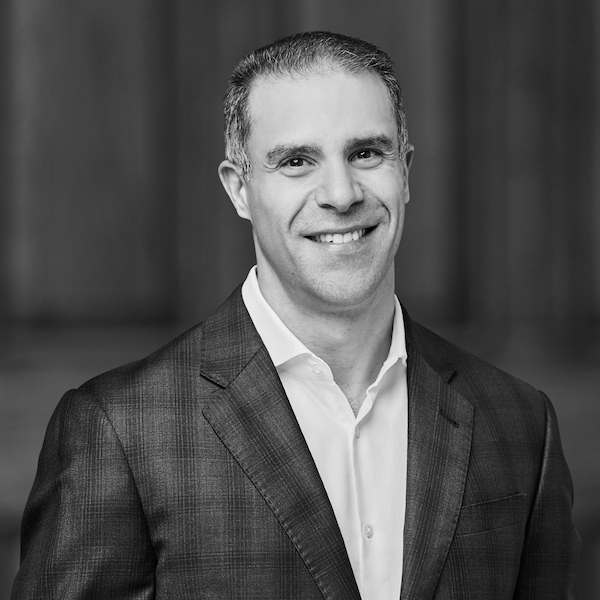 As Chief Medical Officer and EVP of Complex Care Management, Dr. Joseph Jasser is responsible for overseeing the complex care management program at Signify Health.